Happy National Siblings Day to all of you who have brothers and/or sisters. We don’t have any true siblings in our home today but you may remember sister and brother Abbey and Alex. Shortly after adopting those two we adopted brothers Tigger and Flash. I, too, have a brother and sister but it has been ages since we have had a photo together. The last time we were all in the same state was 20 years ago when my dad died which was not a good photo opportunity. Here is one from 1975. Pay no attention to the hair. This entry was posted in Uncategorized and tagged brother, Cats, National Siblings Day, sister on April 10, 2019 by Charles Huss. Today I want to do something a little different and post a photo from the past, well before Chris was born. I actually took this picture on my birthday, July 9, 2005. This was the first picture I could find of our two cats, Abbey and Alex, so I think we had just adopted them. Back then Abbey was called Stirling and Alex was called Sloan. We actually adopted Alex but we couldn’t take him and leave his sister behind so we took her too, which was an excellent decision. While we had Alex out of the cage at the PetSmart shelter, Abbey pooped and left it unburied. It was the stinkiest poop we ever smelled and it seemed to remain that stinky throughout her life. Also, her habit of not burying her stinky poops remained too. 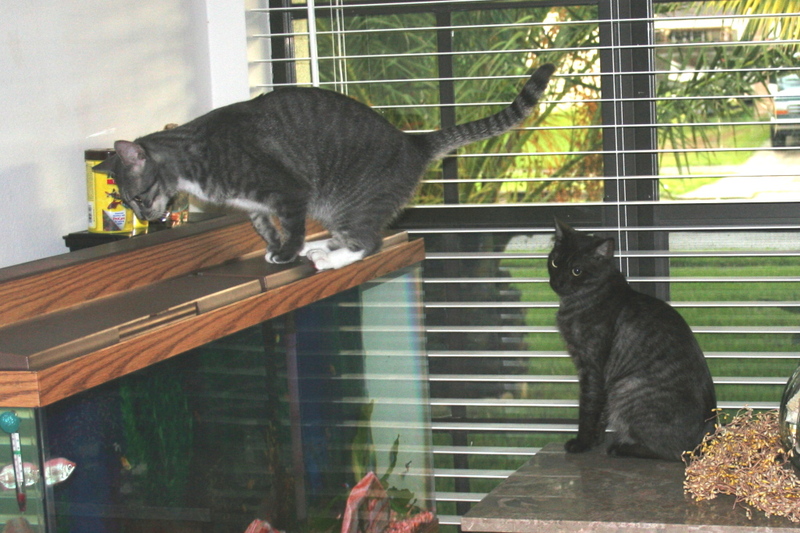 Here is Abbey trying to figure out how to get at the fish while Alex looks on. 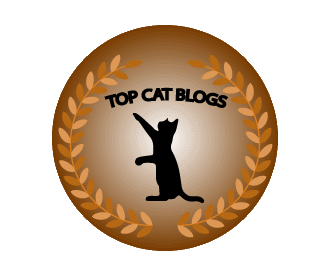 This entry was posted in Uncategorized and tagged adopt, brother, Cats, fish, sister on August 18, 2017 by Charles Huss.